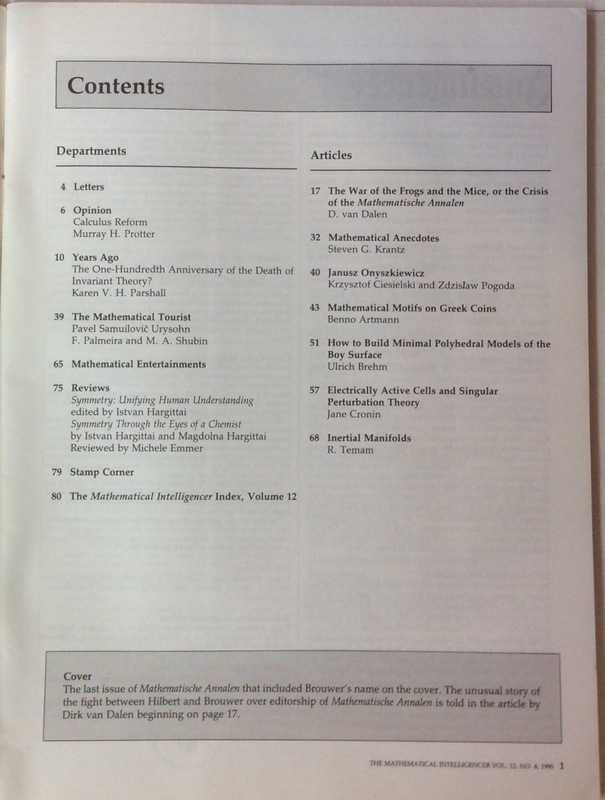 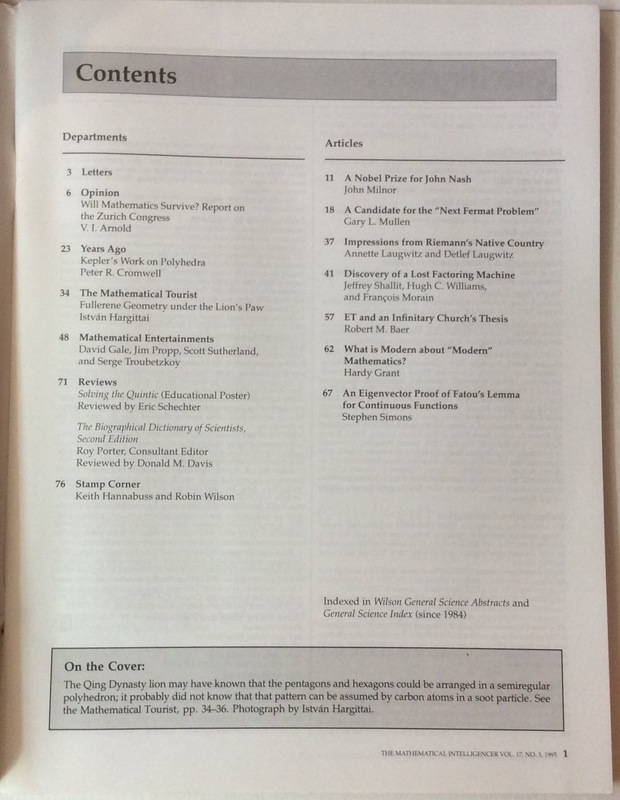 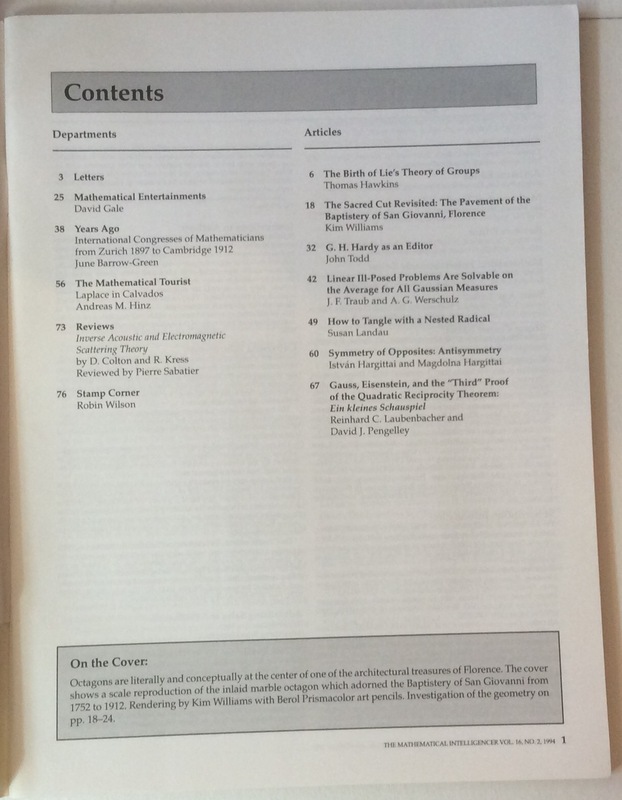 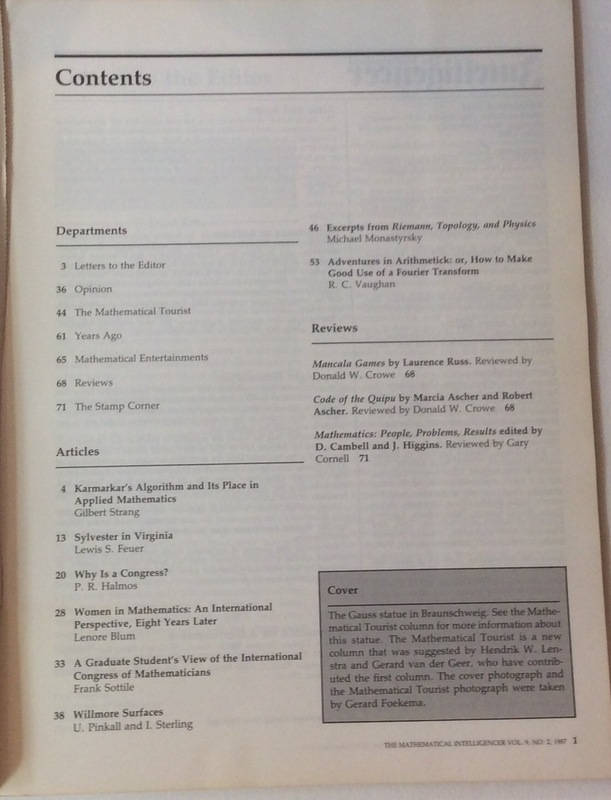 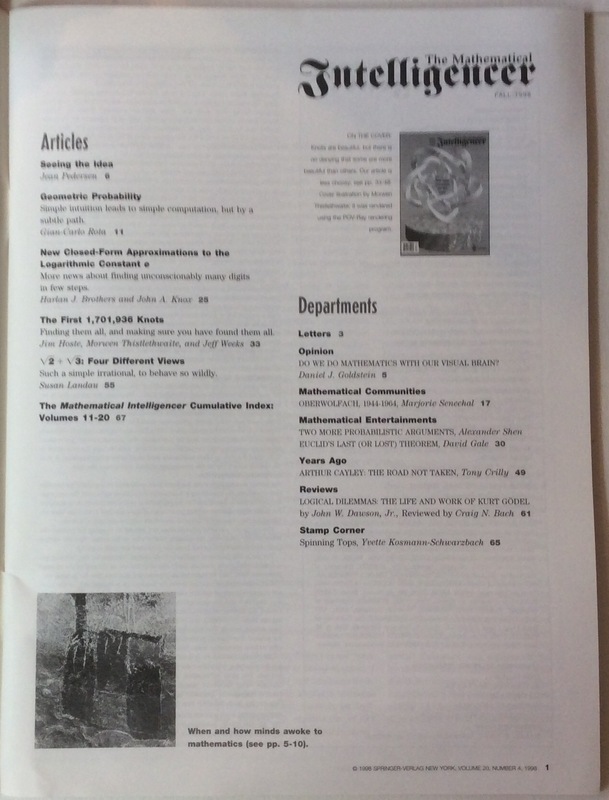 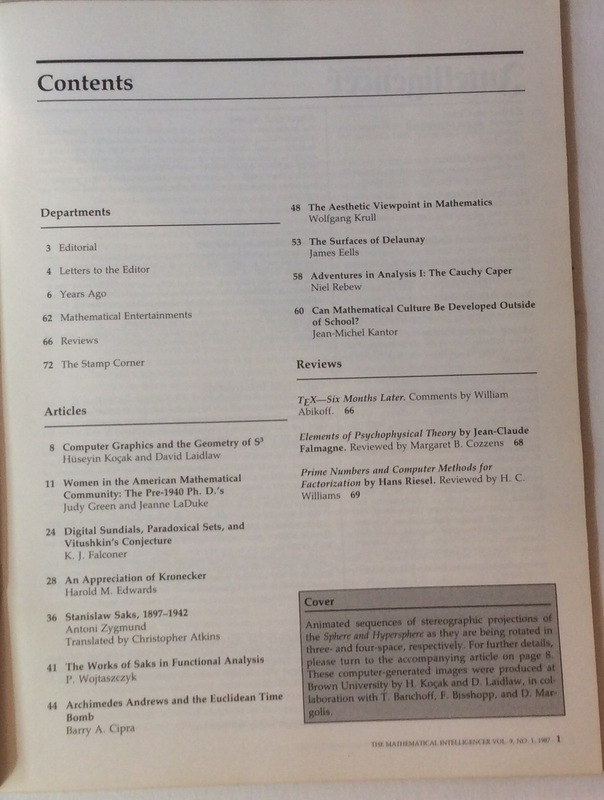 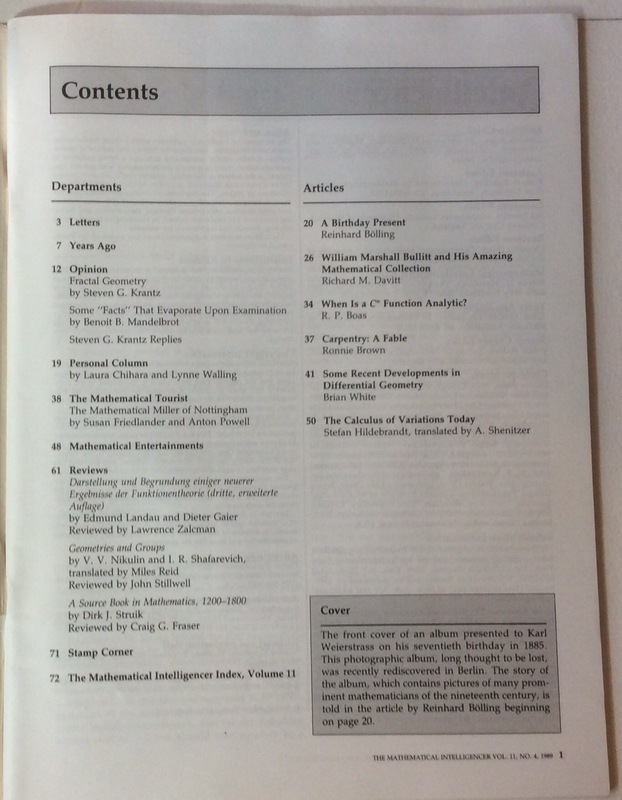 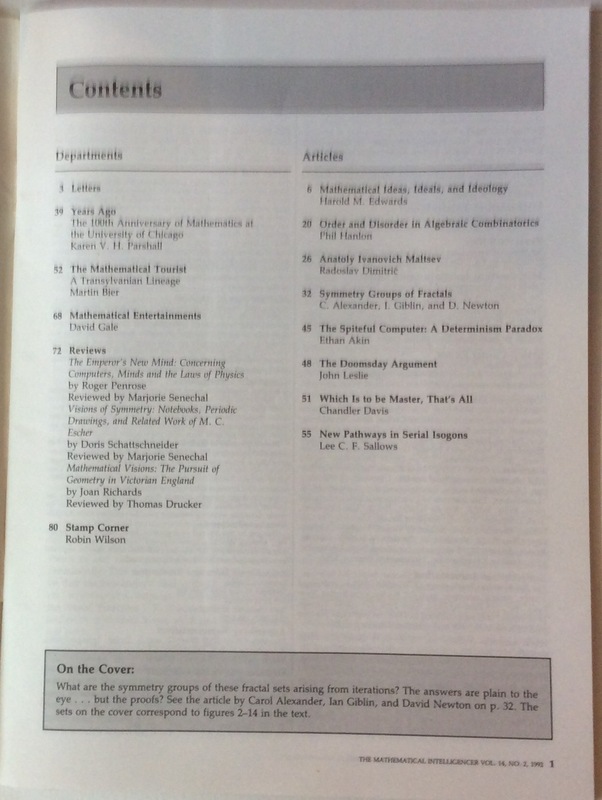 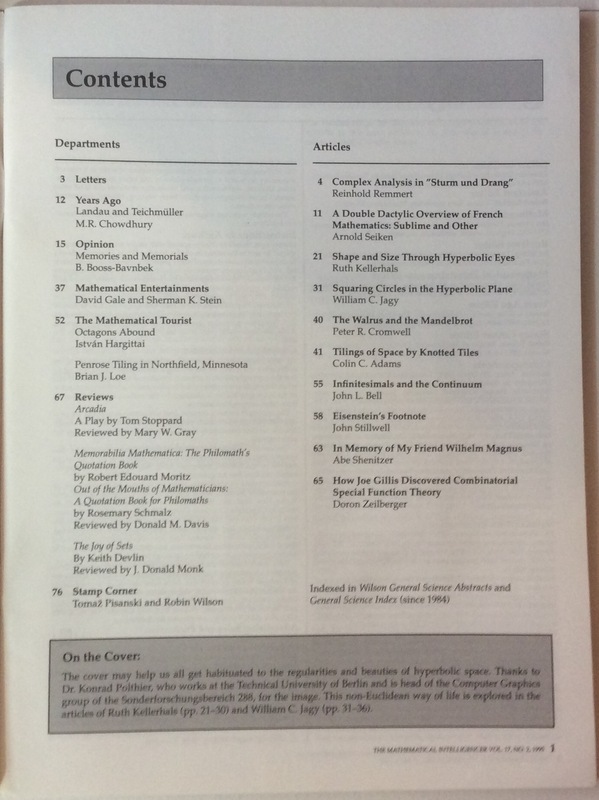 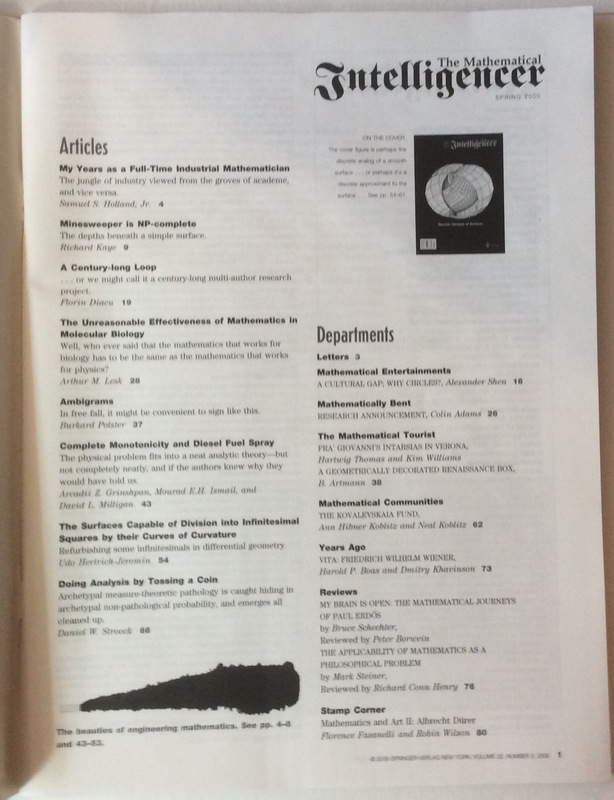 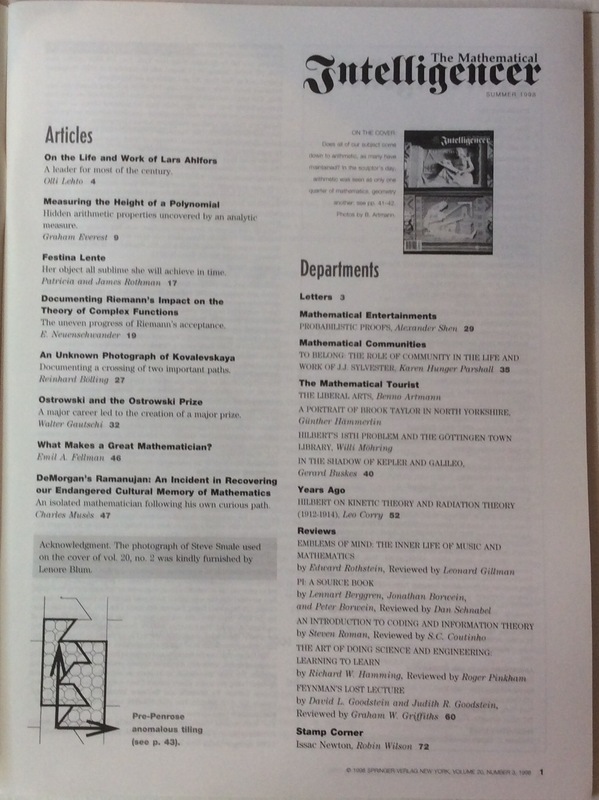 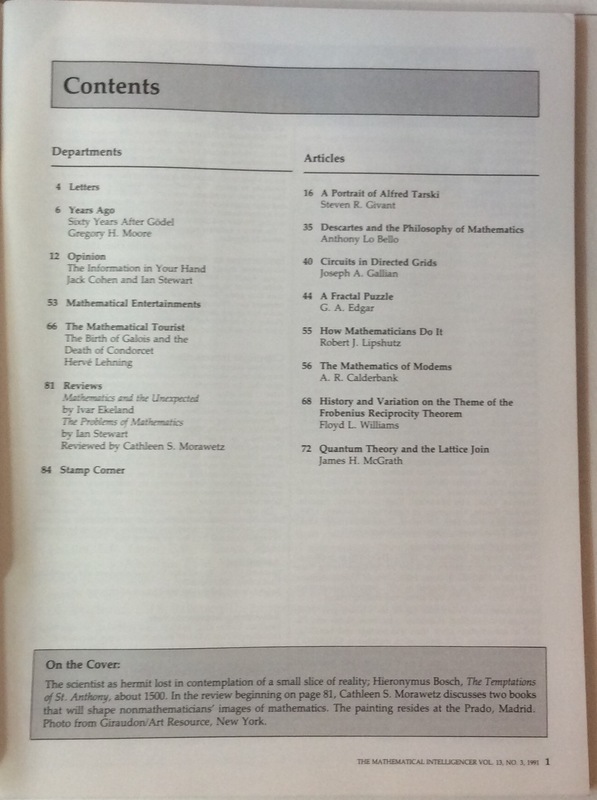 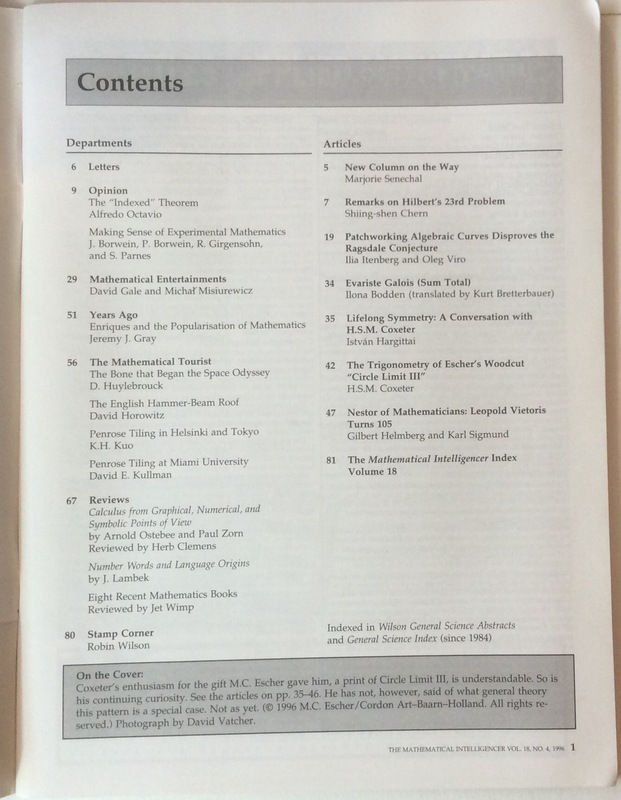 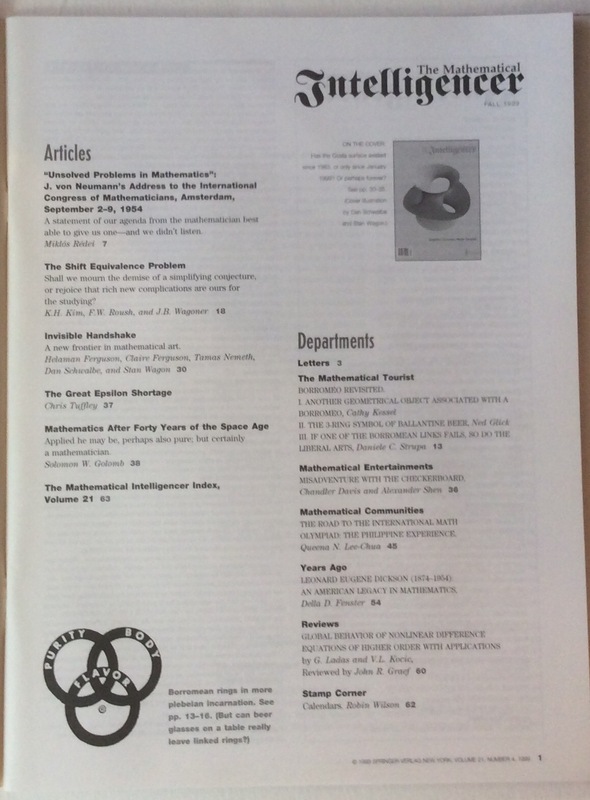 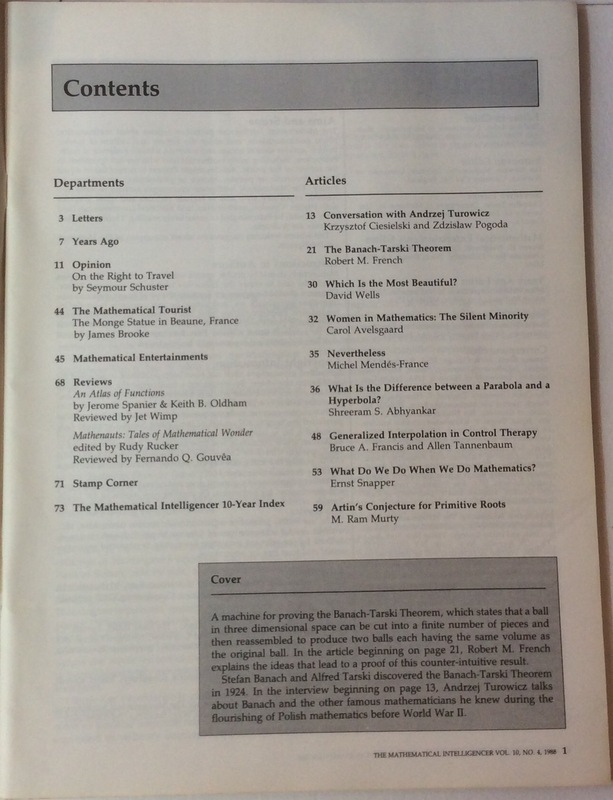 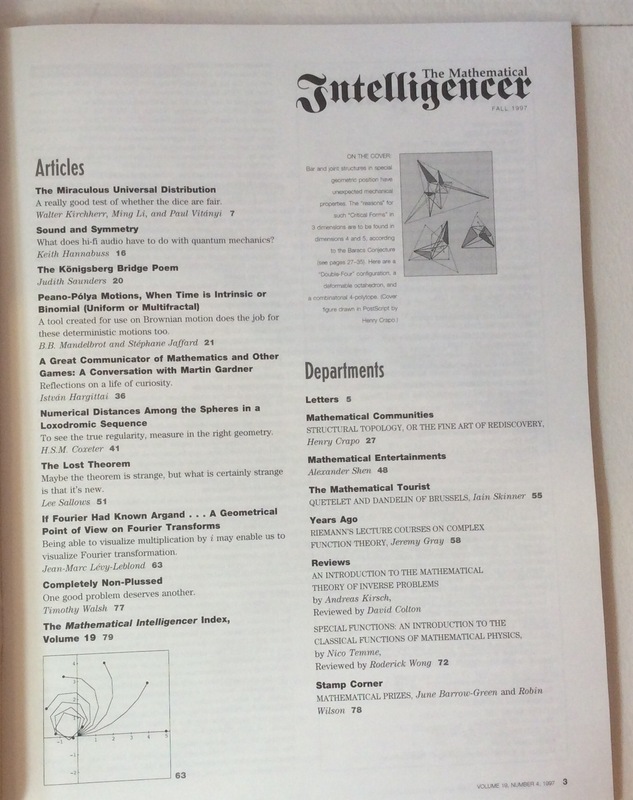 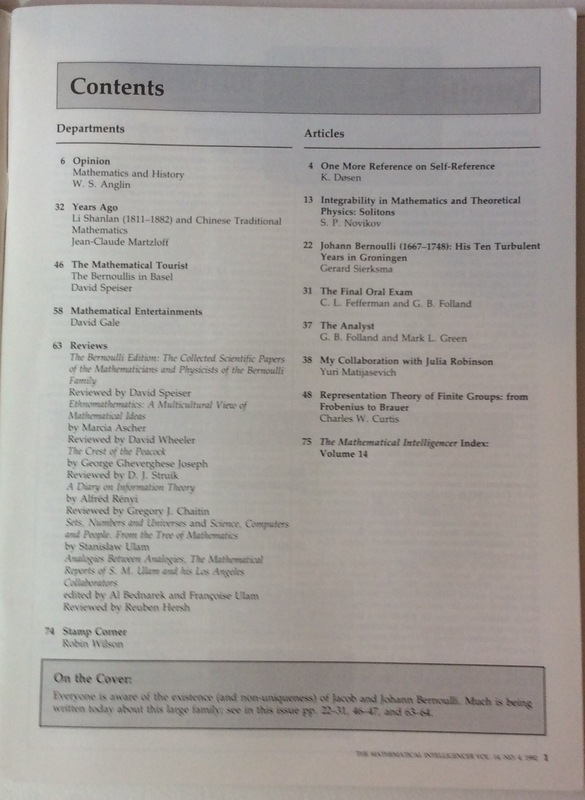 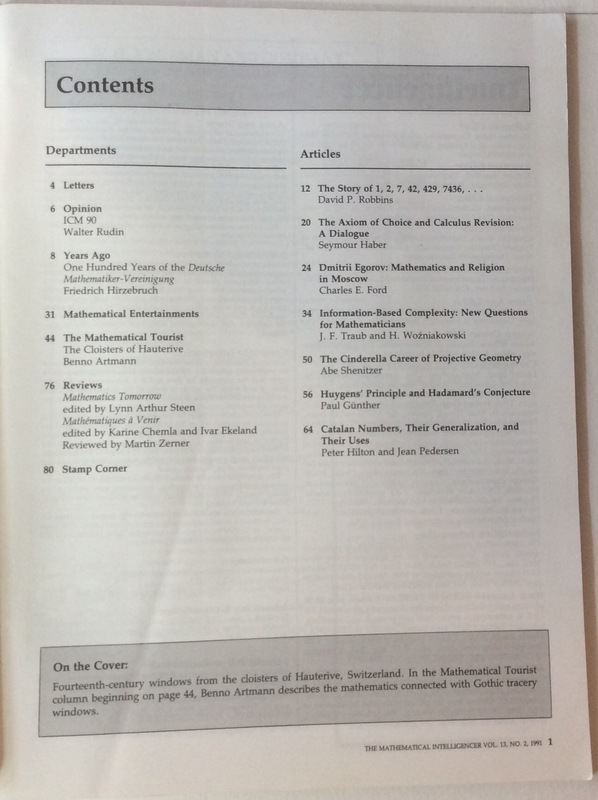 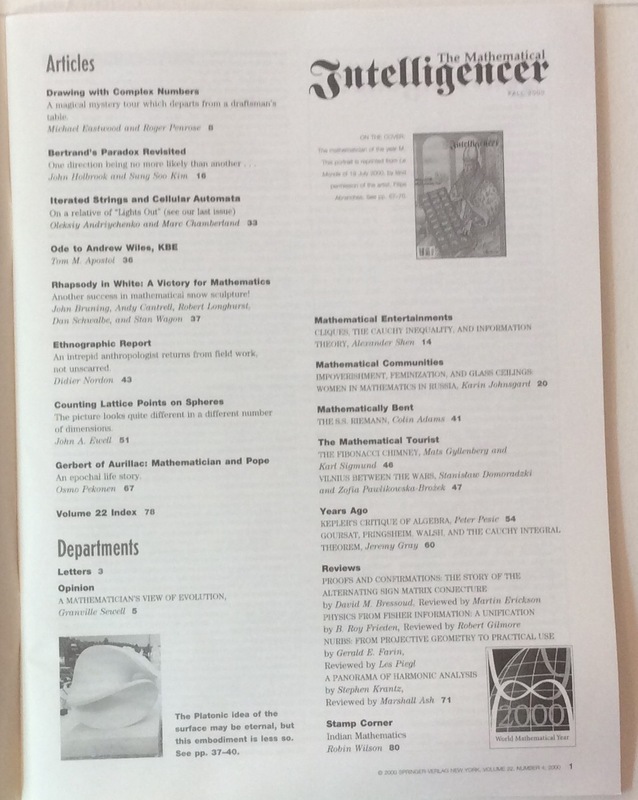 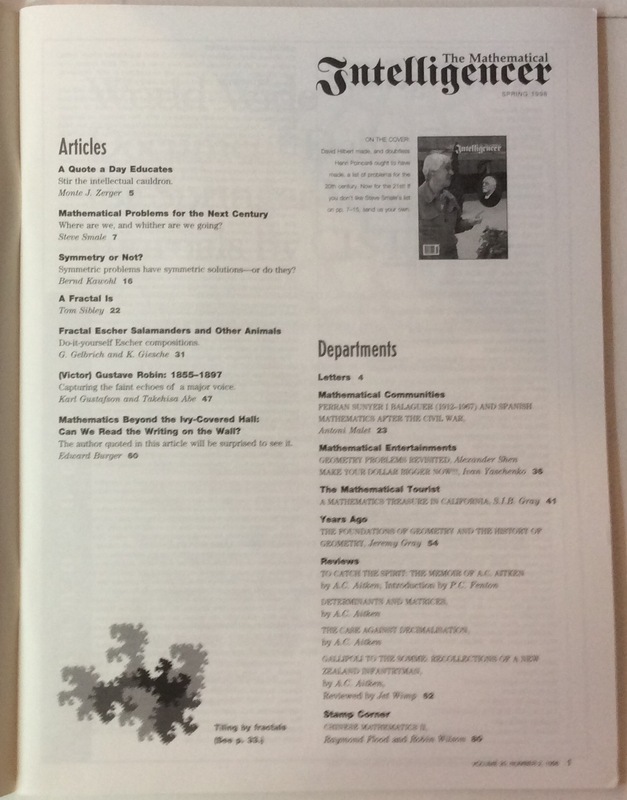 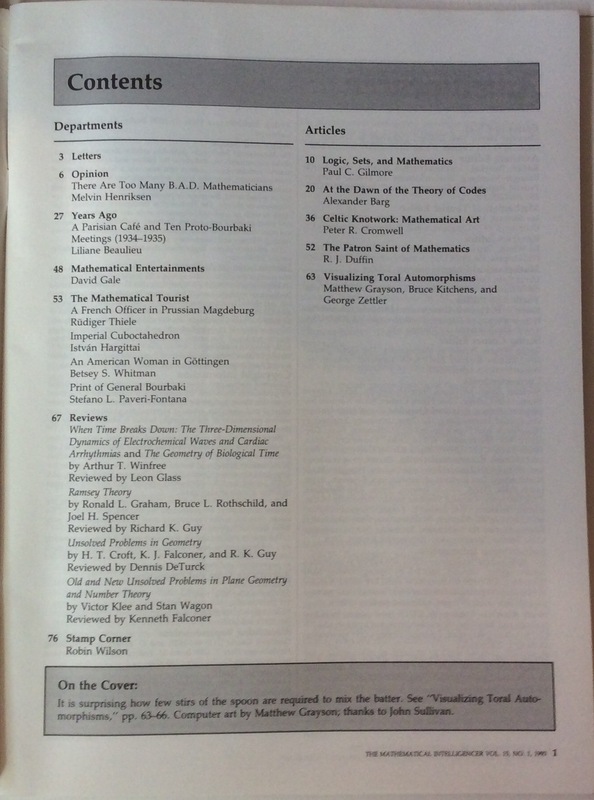 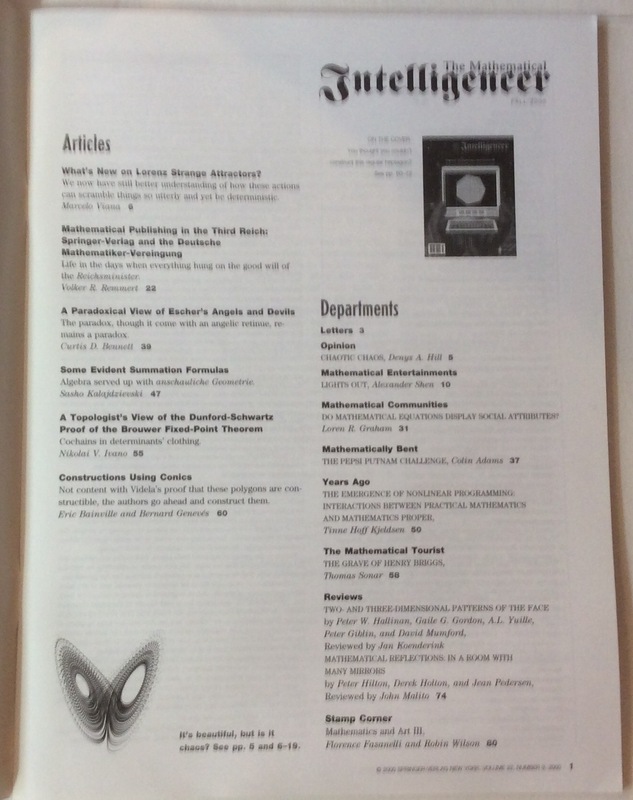 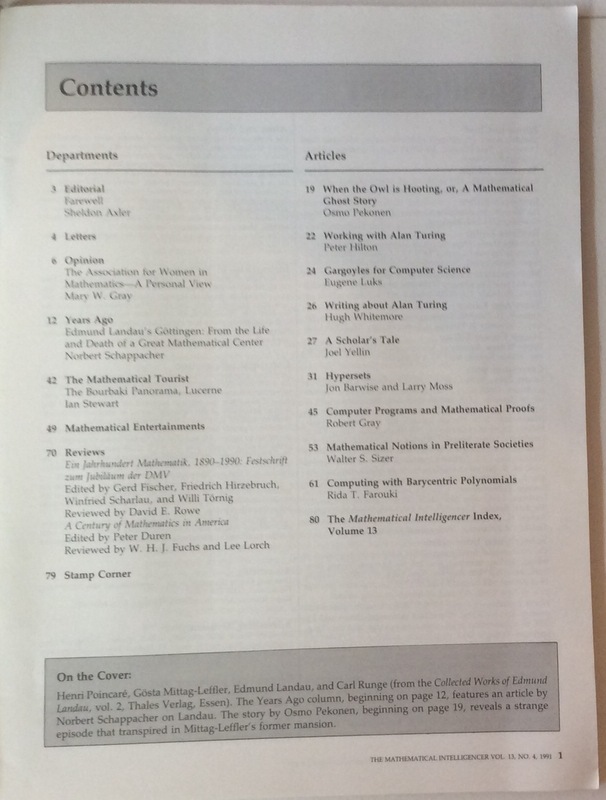 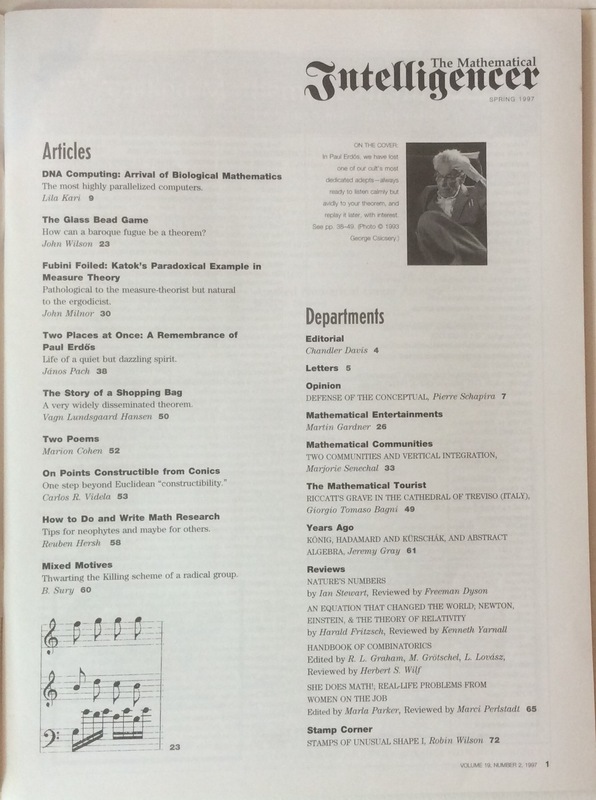 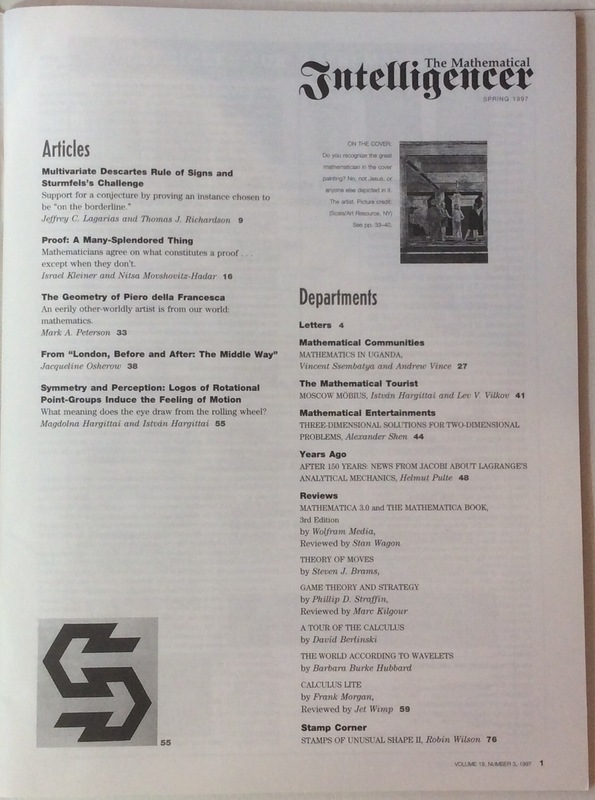 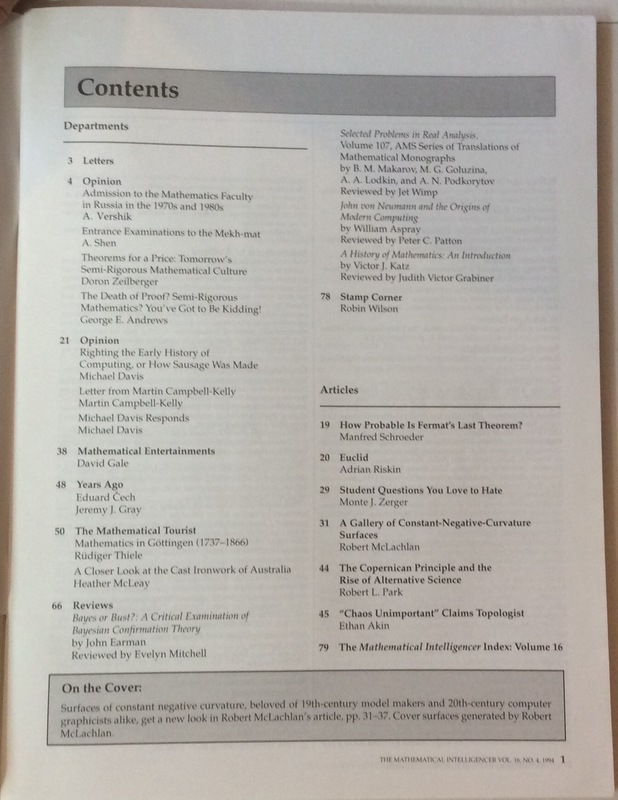 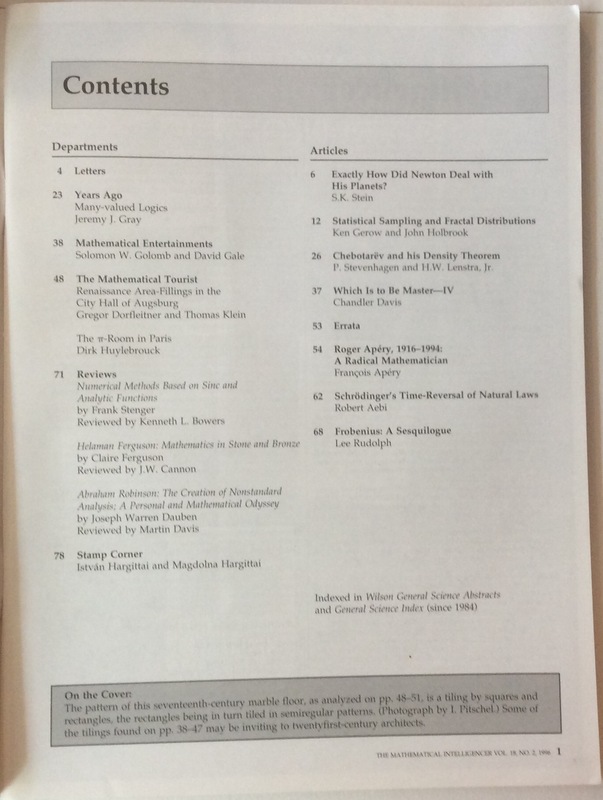 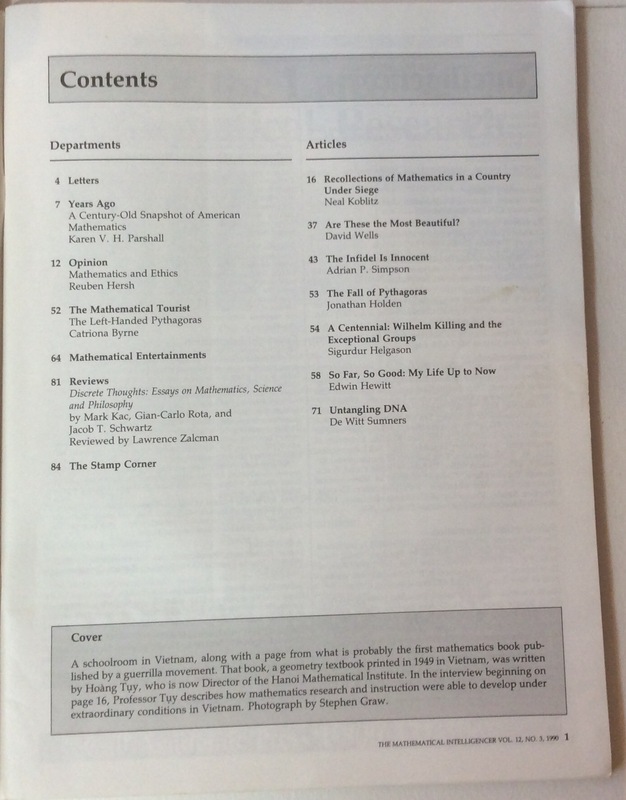 The Mathematical Intelligencer published articles about mathematics, mathematicians and the history and culture of mathematics. 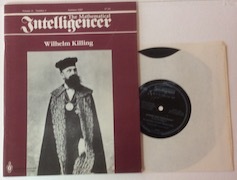 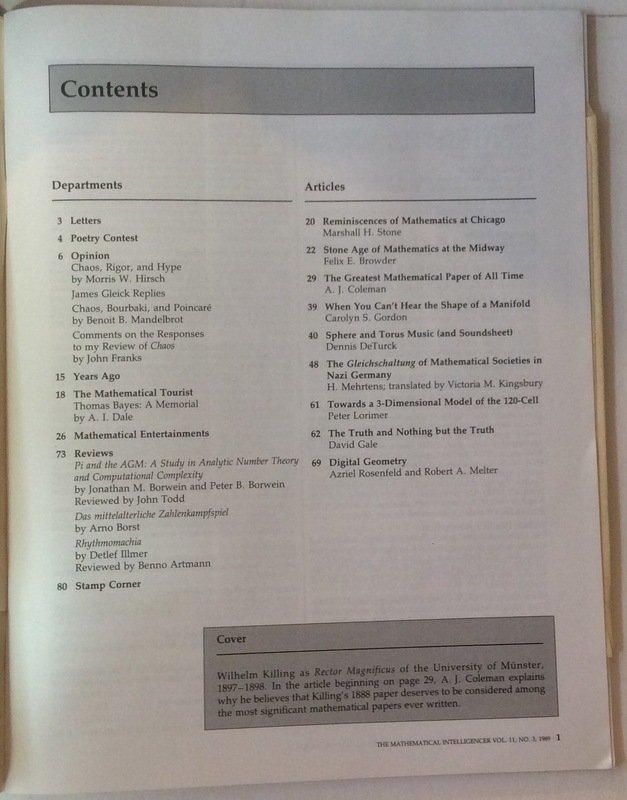 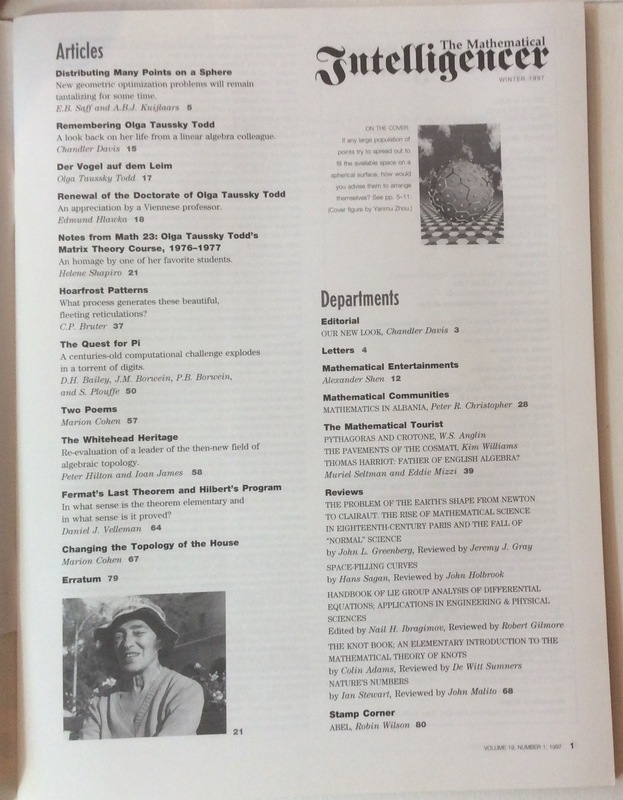 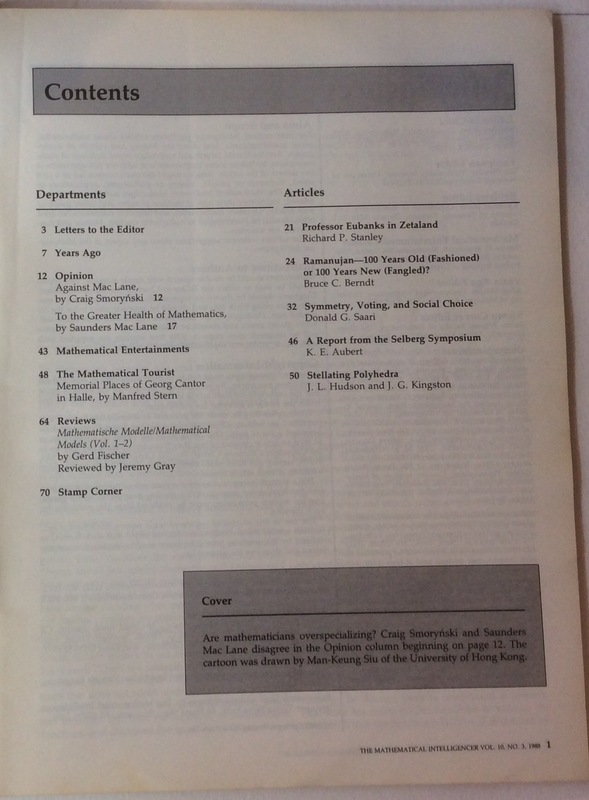 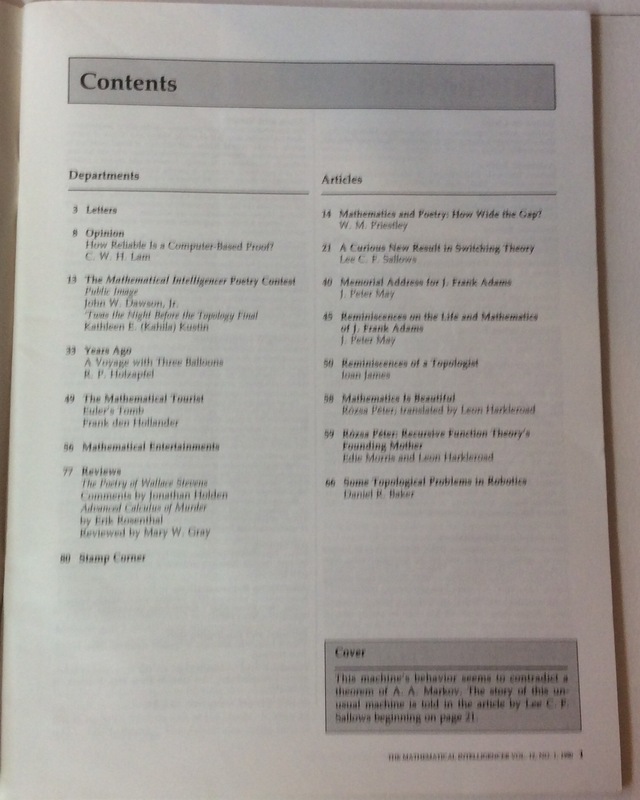 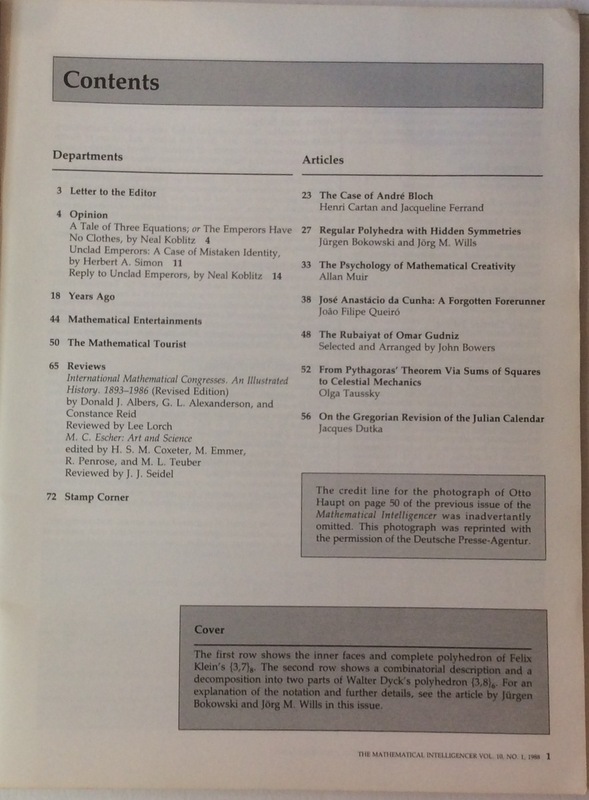 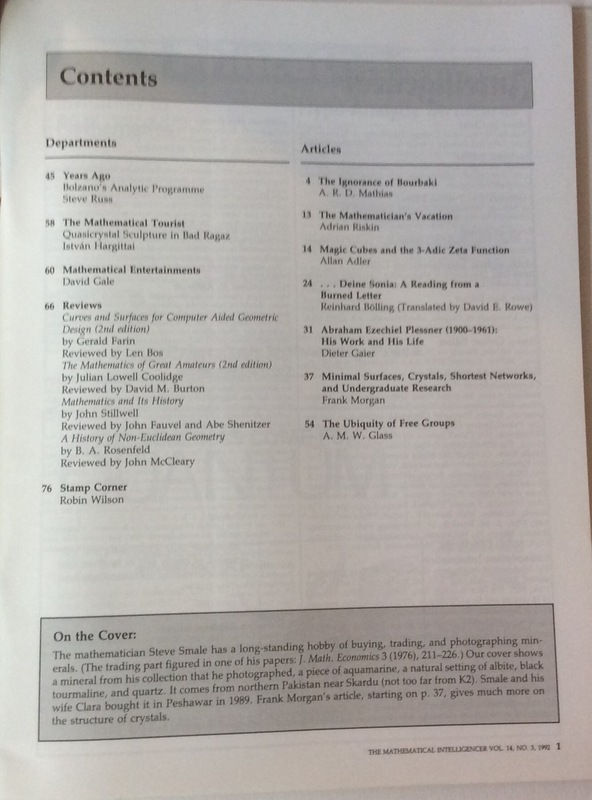 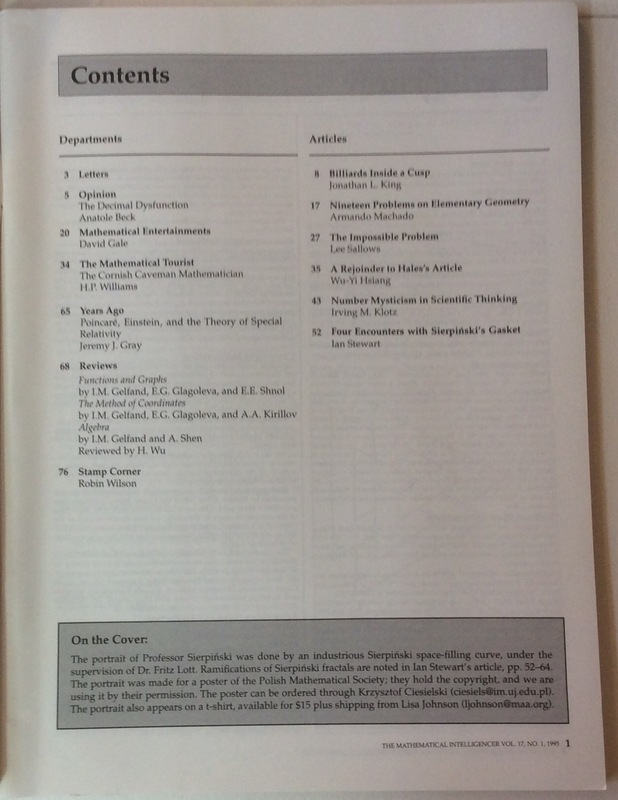 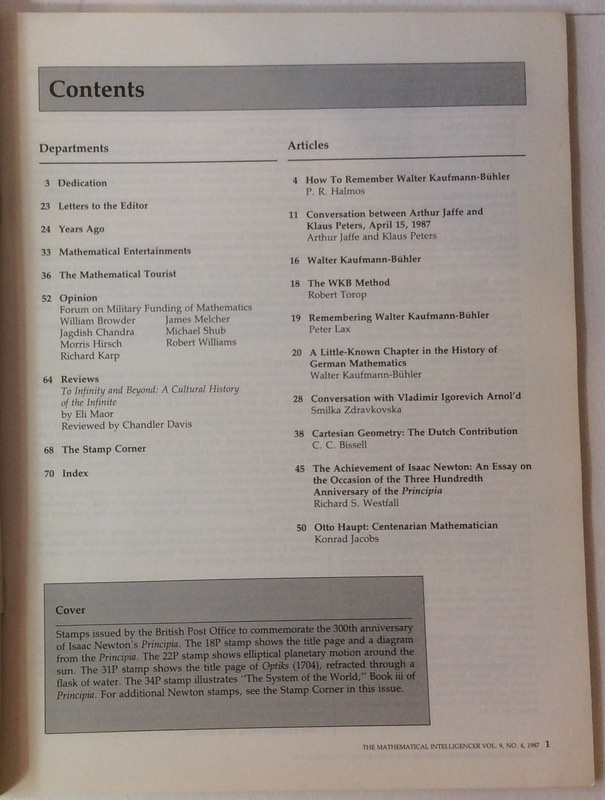 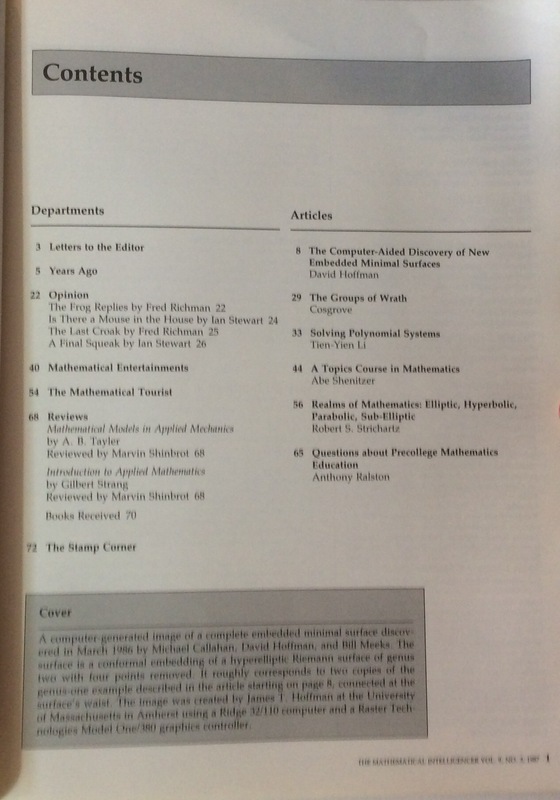 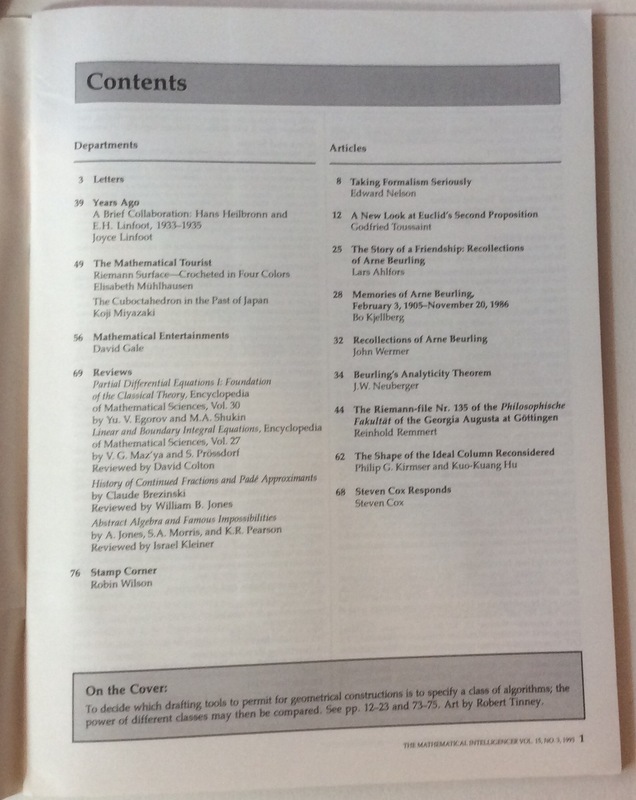 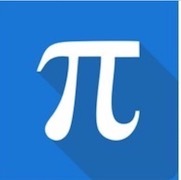 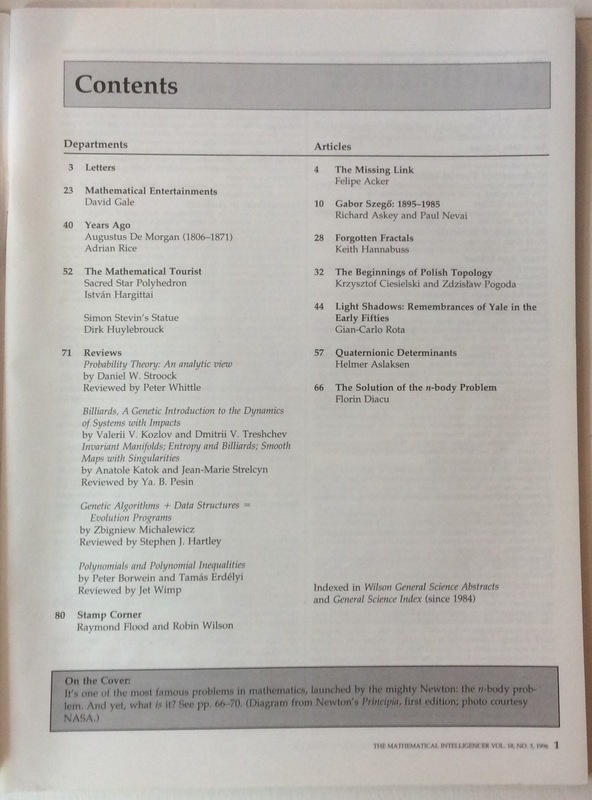 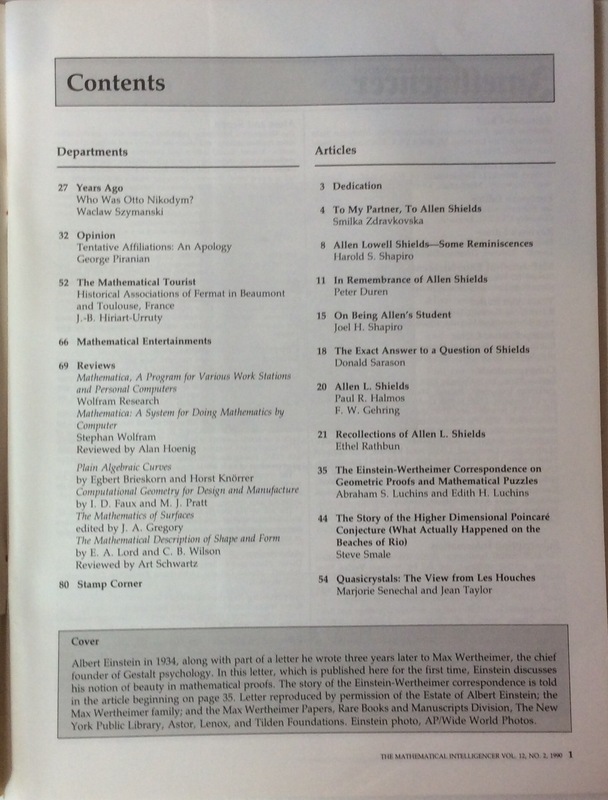 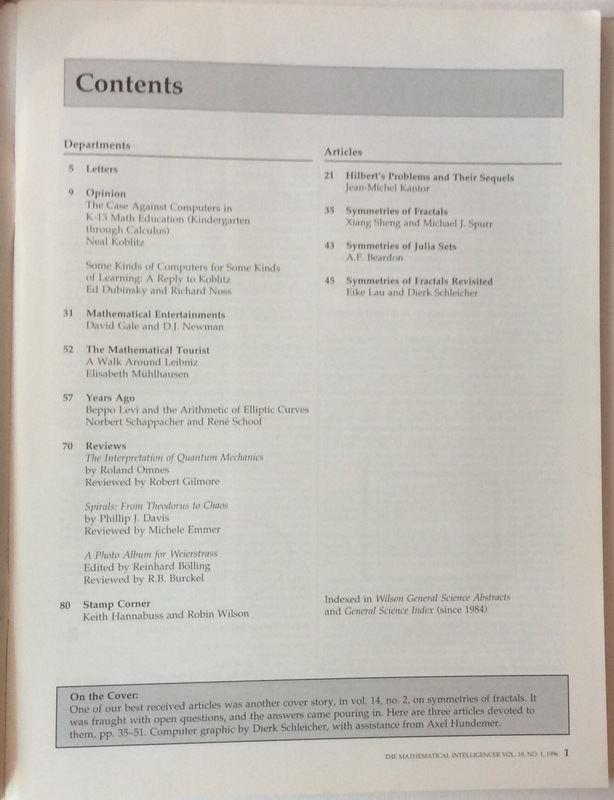 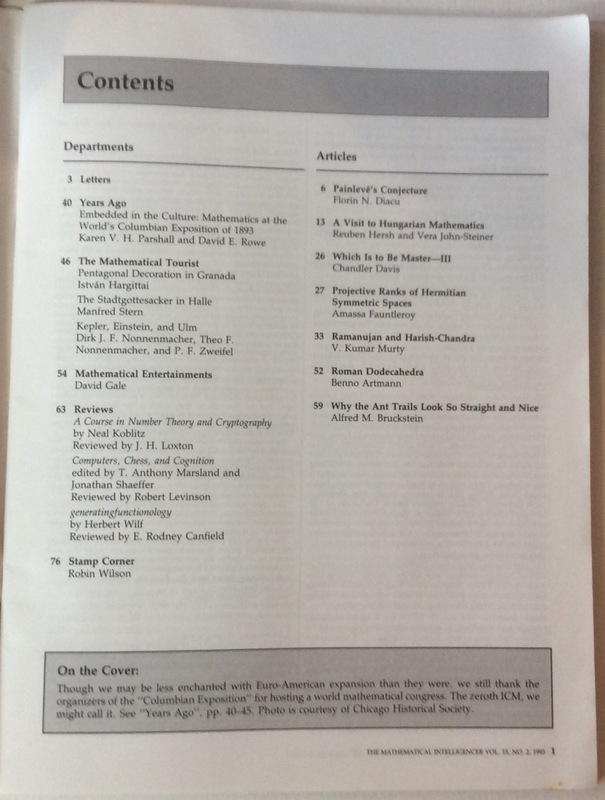 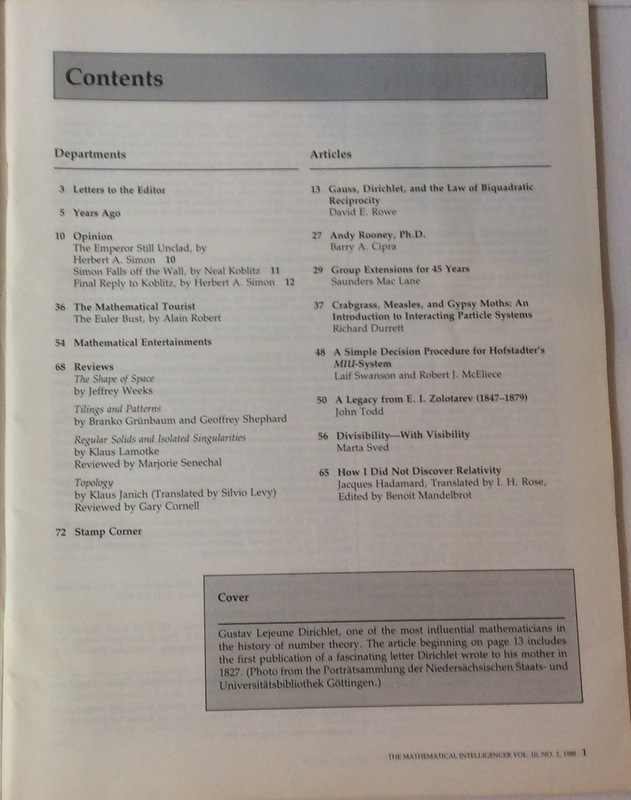 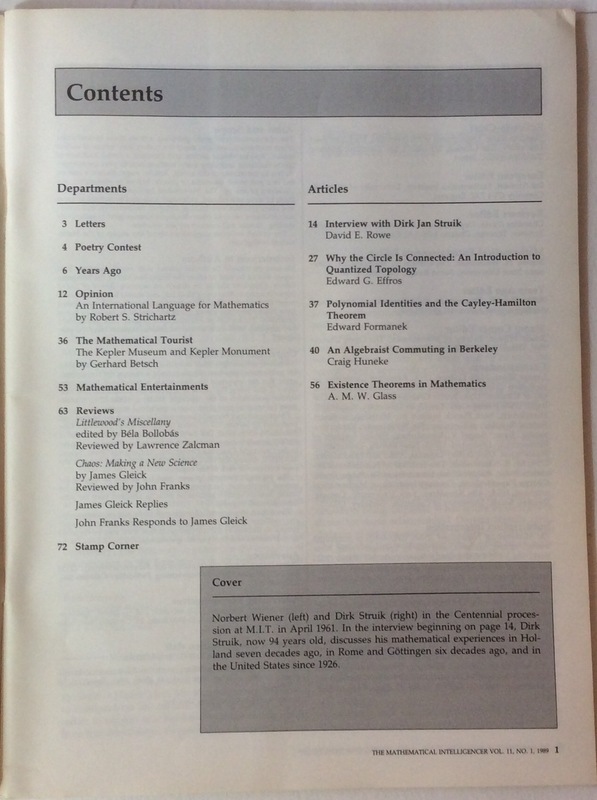 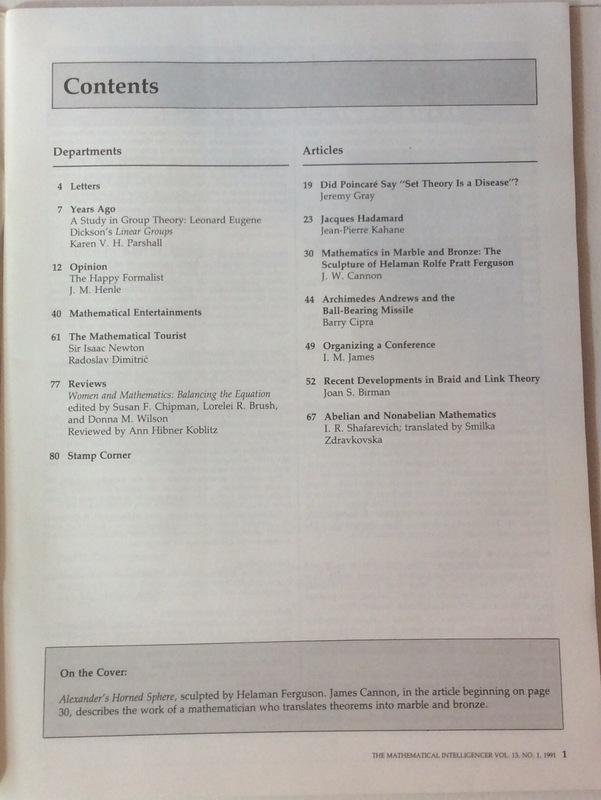 Articles informed and entertained a broad audience of mathematicians including many mathematicians who were not specialists in the subject of the article. 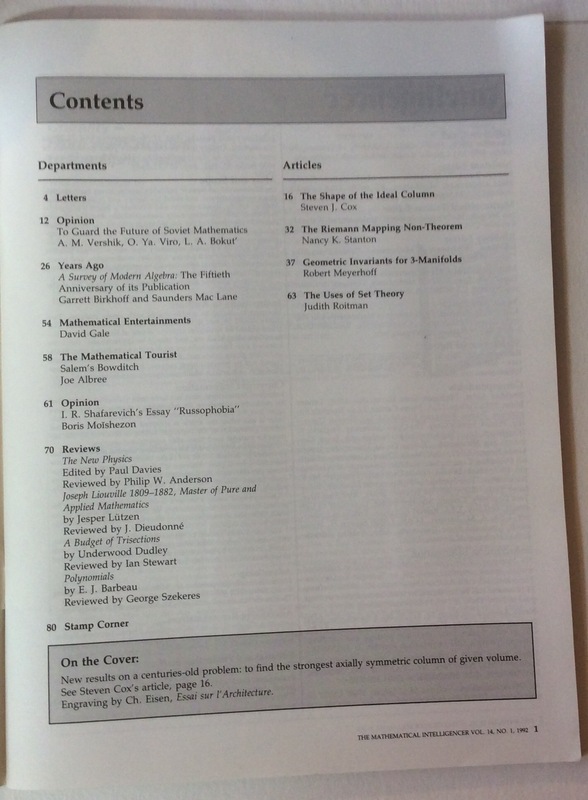 Articles discussed current fads or past trends, theorems or people, history or philosophy, applications or theory. 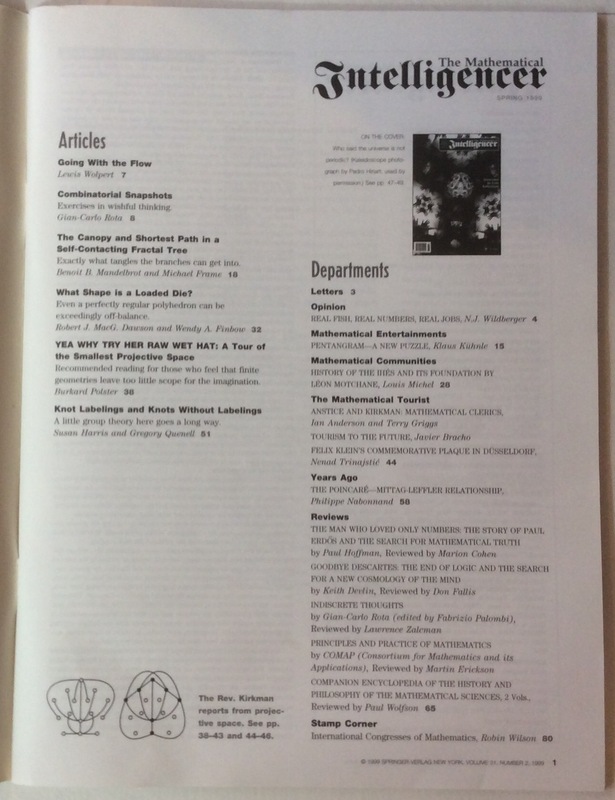 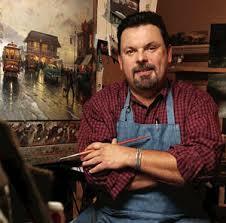 The writing style was expository and relaxed and includes pictures and graphics. 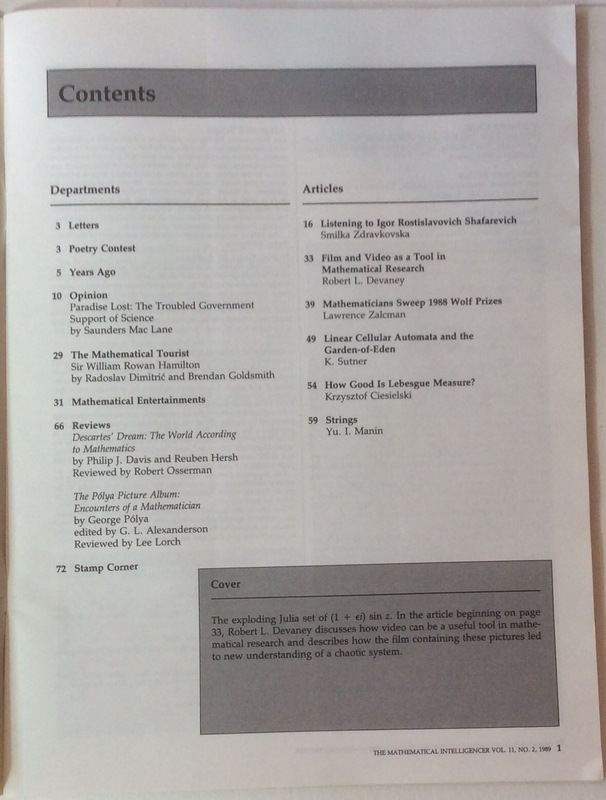 Humour and controversy were always welcomed by the editors! 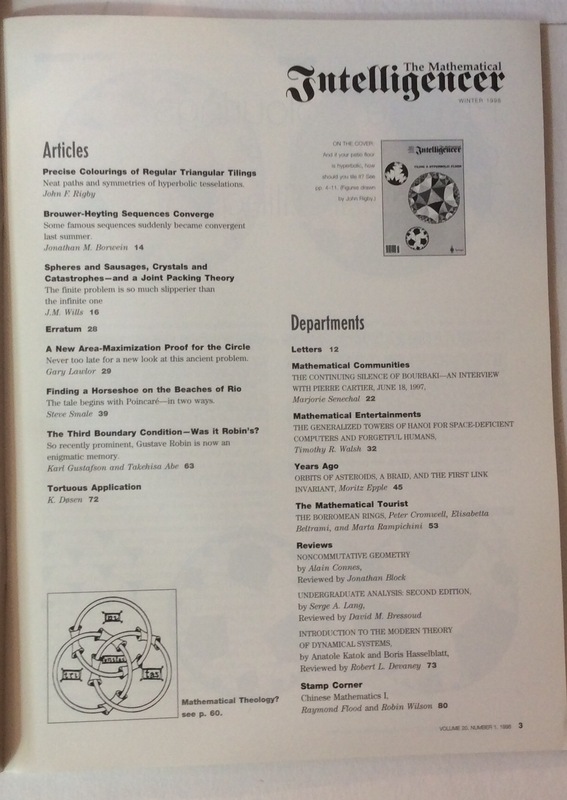 cj-books-etc is pleased to have a great selection of these interesting and informative publications available. 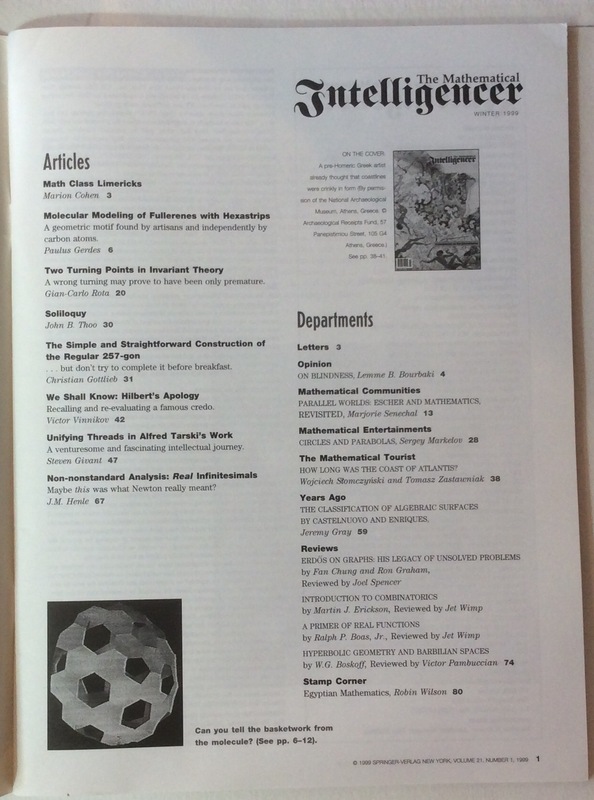 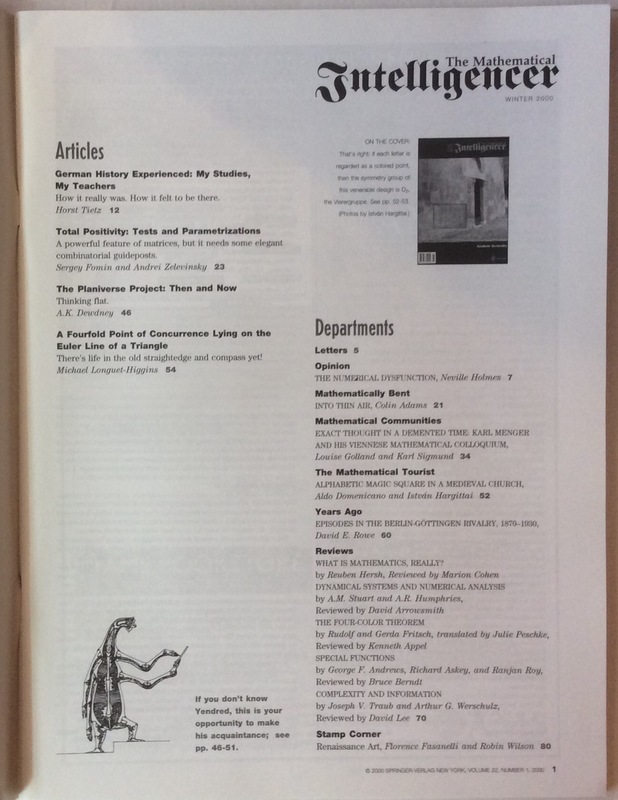 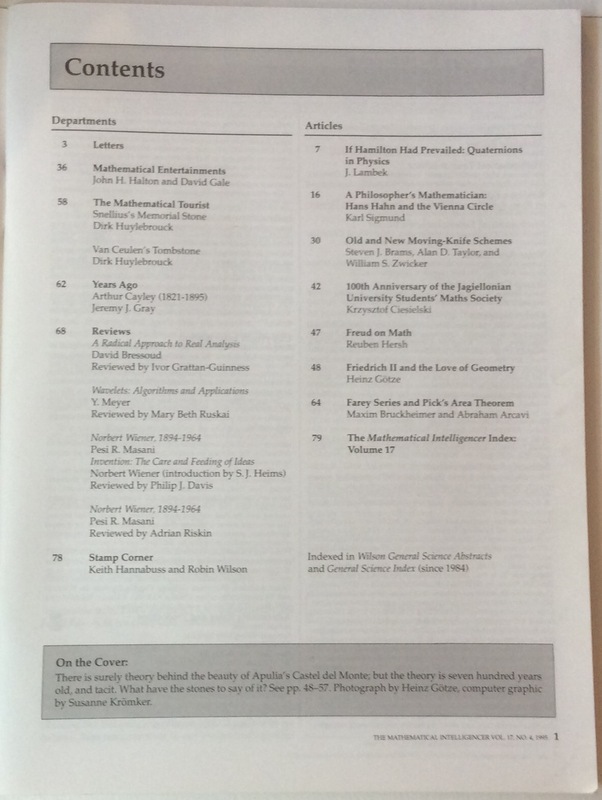 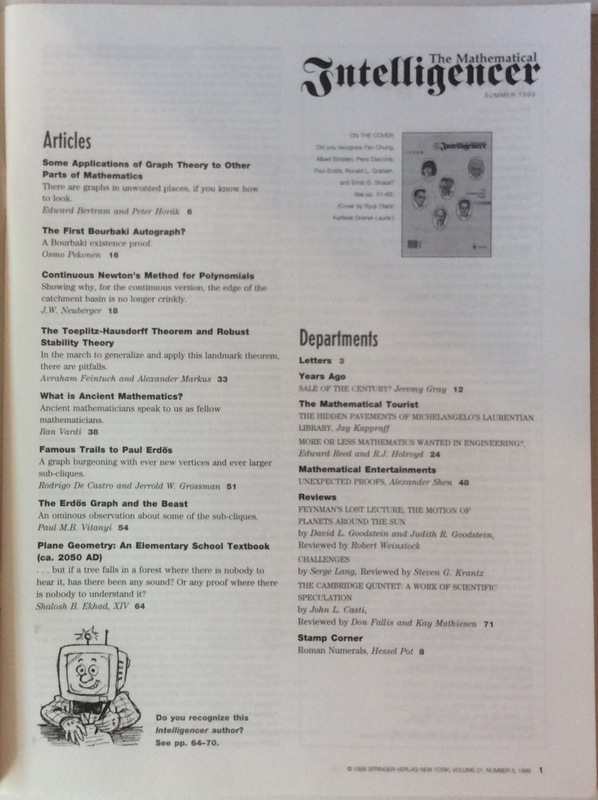 If you are interested in several issues of this publication, contact us for a special discount code for purchasing multiple issues in the same order. 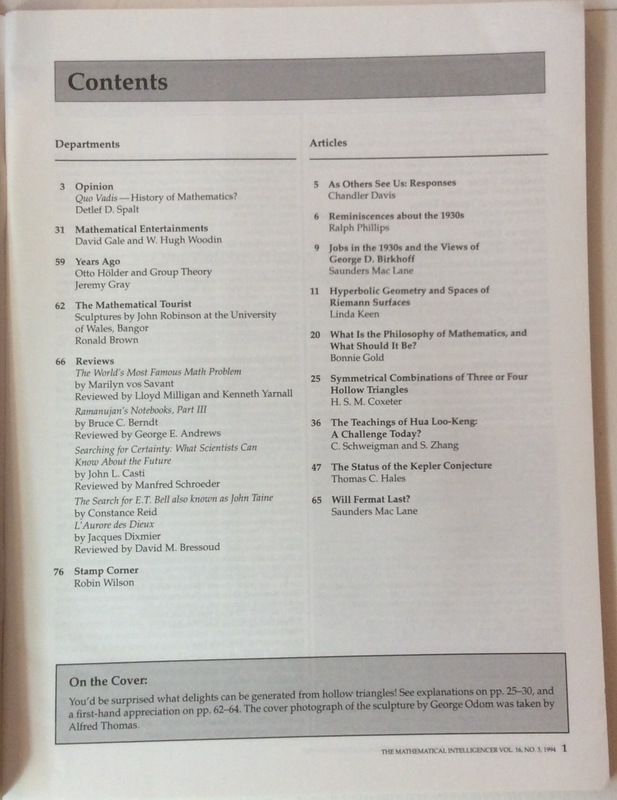 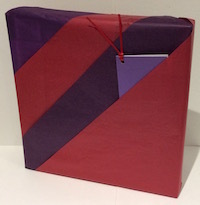 For more details on contents click through the "contents" link for each issue. 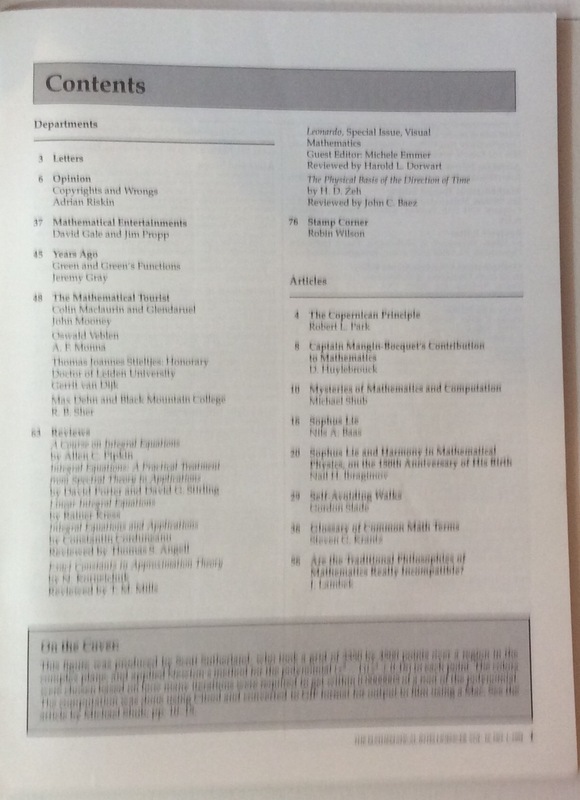 More issues to follow. 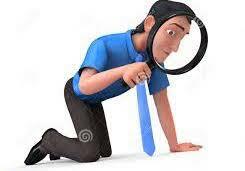 If there is a particular issue that you are looking for please contact us for availability.